On November 29, 2018, the National Academies of Sciences, Engineering, and Medicine’s Roundtable on Quality Care for People with Serious Illness will host a public workshop, Pain and Symptom Management for People with Serious Illness in the Context of the Opioid Epidemic. The workshop aims to explore the tension between efforts to address the opioid epidemic and the resulting impact on access to pain medications for people facing serious illness. 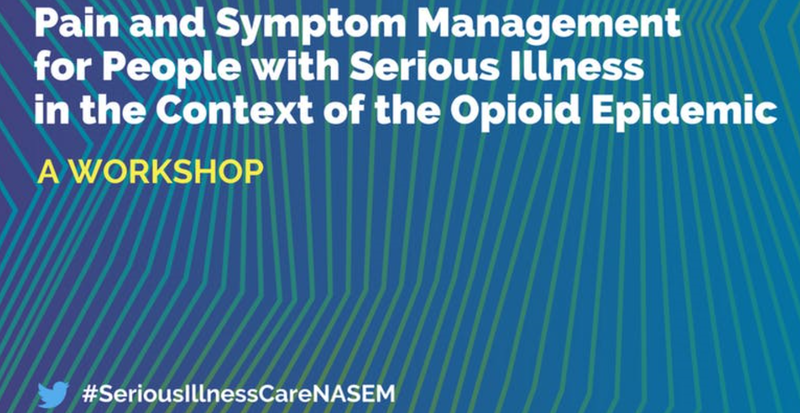 The workshop will examine the unintended consequences of the responses to the opioid epidemic for patients, families, communities, and clinicians, and consider potential policy opportunities to address them.